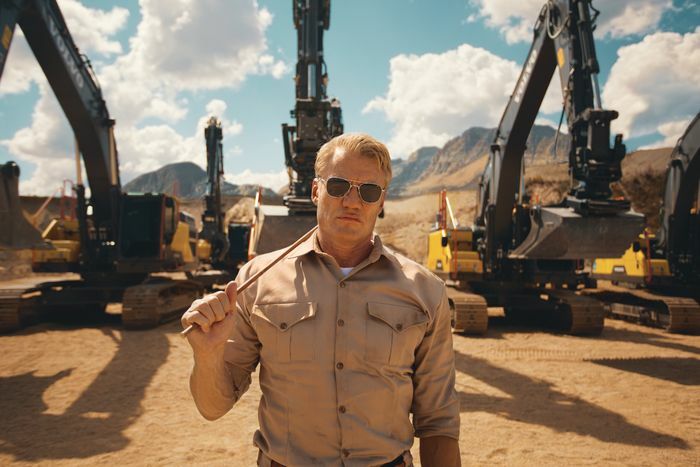 A platoon of Volvo Construction Equipment excavators have been drilled by Hollywood action star Dolph Lundgren in a brand new viral video. 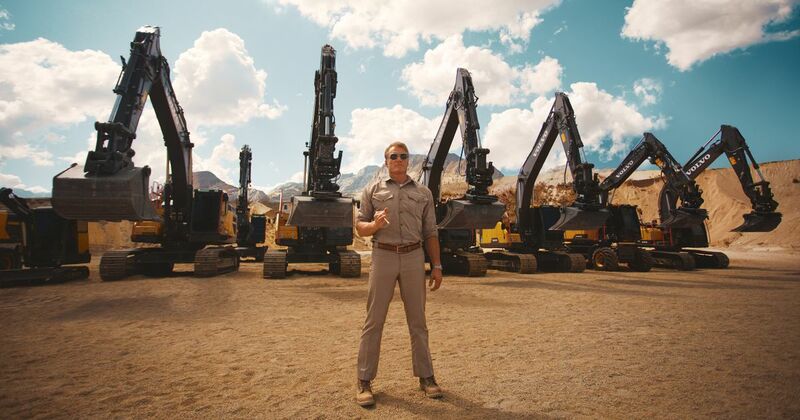 The Expendables star arrives at a desert location to find his ‘troops’ already lined up; several rows of Volvo excavators of all sizes, from the tiny and cute to the truly gargantuan. Lundgren shouts them into order and the training begins. A small fella on the front row; a Volvo EC27D compact excavator, if you’re interested, gets singled out for press-ups before the whole crew joins in. Lundgren quickly becomes a brilliant, dirty-vested parody of his movie characters, soaking his troops and the ground around them with a hose pipe while they flip gigantic tyres. The excavator is one of the most versatile machines there is. 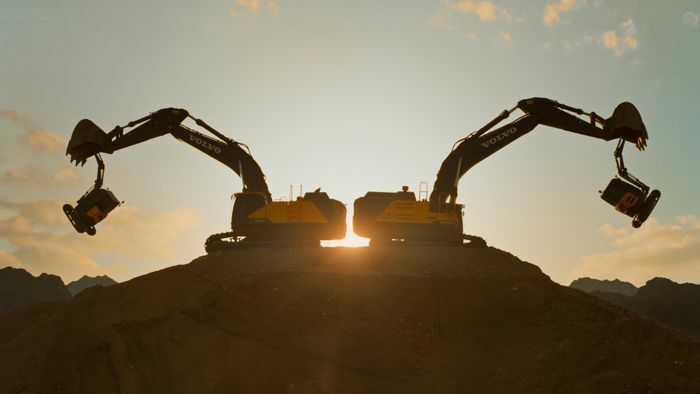 Whether it’s moving earth, pulling heavy loads across rough ground or even lifting themselves into the air, this video cheekily demonstrates just how all-round capable Volvo’s excavators are. “This is a good demonstration of the flexibility and strength of our excavators, from the small to the mighty. 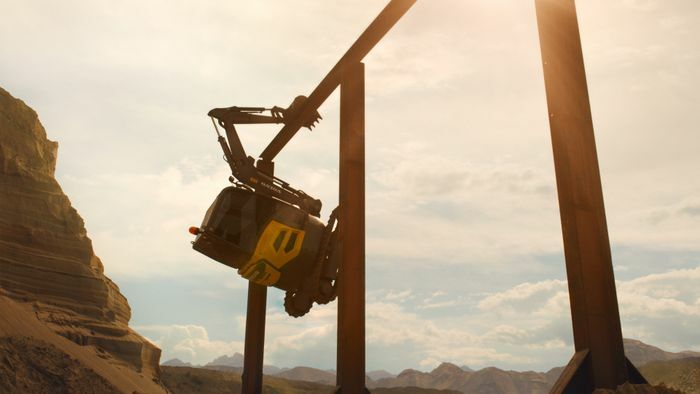 Right after the pull-up scene there are two compact excavators hanging tough from the strong arms of two huge crawler excavators; one of them the full-size, heavy duty Volvo EC750E. As the sun falls towards the horizon the tongue-in-cheek video closes with Swedish legend Lundgren voicing his pride at his platoon’s achievements, before driving off into the dusty evening in his beaten-up old pickup. Solid work all round, we feel.